Yes, it's absolutely ok to be excited about the fourth horror film in a series being announced, especially if it's Insidious and comes with a deafening crescendo of hellish violins. 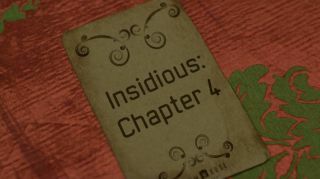 The next slice of nasty in Leigh Whannel and James Wan's horror franchise, Insidious: Chapter 4 will be written by Whannel, but director duties are being taken on by Adam Robitel who previously helmed last year's The Taking Of Deborah Logan. As you can see in the below ultra cheesy (but lovely because Lin Shaye) announcement video, the movie will be out on October 20, 2017 so we've got a while to wait. Despite rolling into sequel territory, Insidious hasn't lost any of its scares and Shaye's parapsychologist Elise Rainier is still one of my favourite characters in any of the Blumhouse nasties. Bring on The Further.